The Last Time Trump Released His Taxes, Guess How Much He Paid? It’s well known that presumptive Republican nominee Donald Trump has a problem with telling the truth. His entire campaign platform consists of outright fabrications and wildly impractical delusions that would send our nation into chaos if ever put into action – but somehow he still manages to evade consequence for his lies. That all might change as the controversy over his refusal to release his tax returns continues to grow – especially since it’s just been revealed that the last time Trump released his tax returns, he didn’t pay a single cent in federal income tax! Against all logic and reason, Trump has built economic populism into his platform, despite the fact that he’s a billionaire who made his wealth exploiting loopholes, misrepresenting the value of his properties, and openly scamming his customers. He regularly criticizes multinational corporations for evading their taxes and taking advantage of loopholes – “They make a fortune. They pay no tax…It’s ridiculous, okay?” – despite having gleefully done the same thing throughout his career. It’s clear that far from being evidence of any business acumen, Trump’s tax returns are a glimpse into the way our financial system is sharply tilted favor of those who already possess great amounts of wealth, designed for the megarich to increase their fortunes while passing on the burden to the American people. 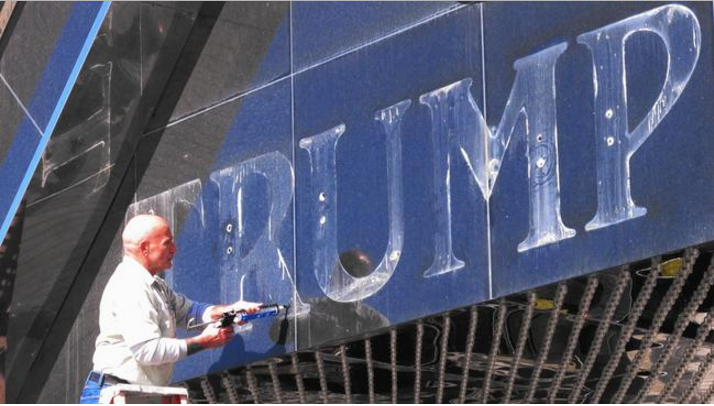 Trump’s casino empire has filed for bankruptcy multiple times – but he’s escaped each time with more money than he had before, leaving the common people to find new jobs and shoulder the tax burden.